My first paid writing gig was writing the product descriptions for my dad’s eBay business when I was 11. Now writing is my entire business. I write blog posts, books, and more every single day. 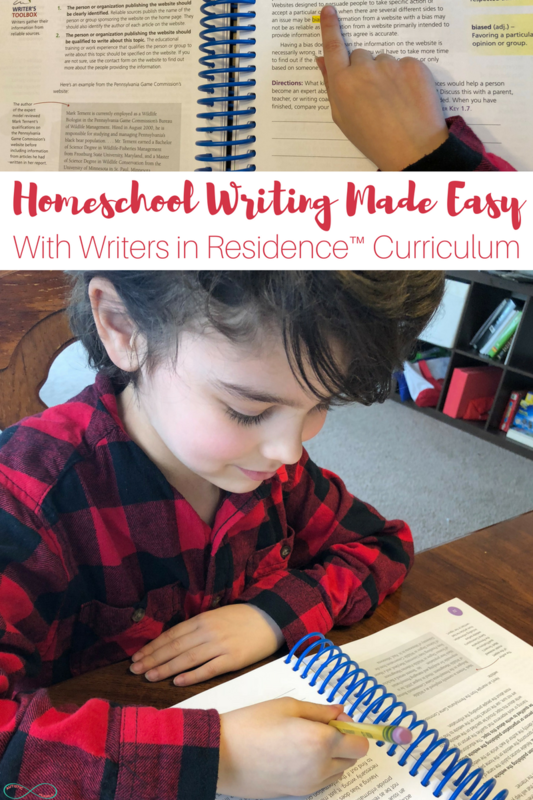 And as a homeschooling mom, I am always on the hunt for new homeschool writing curriculum. *This post is sponsored by Apologia. I was provided curriculum to try with my family and was compensated for my time, but I was not required to give a positive review. All opinions are 100% my own, please see my full disclosure for details. That’s why I was so excited to find Writers in Residence™ by Apologia. 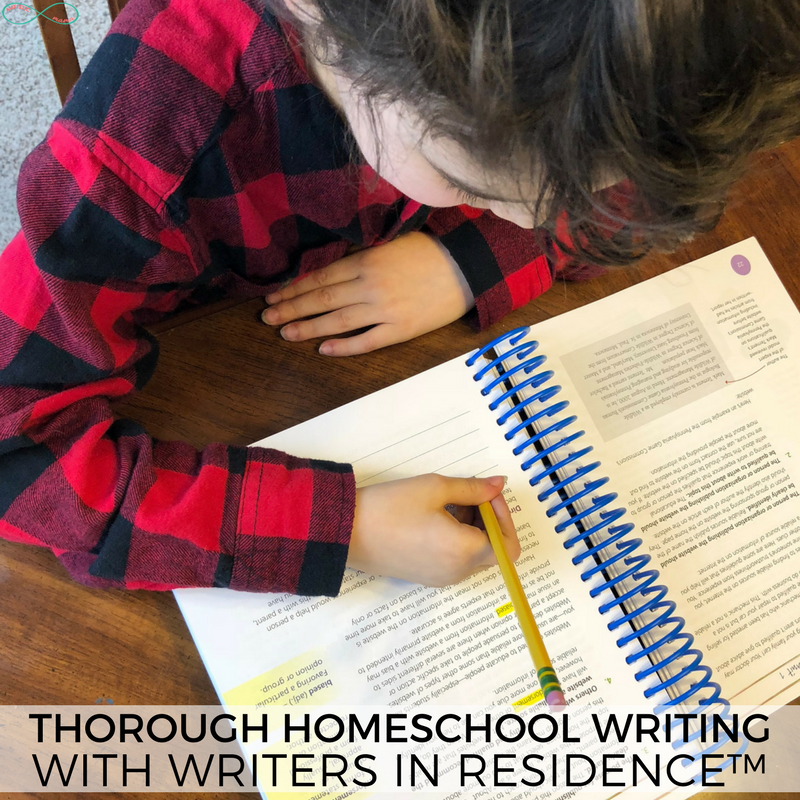 It’s a thorough homeschool writing curriculum that approaches writing in an engaging way, and Mr. C and I loved trying it out. One thing I loved about Writing in Residence™ is how the curriculum is broken up into four thematic units. These units cover the major types of writing in a unique way. I also loved that the activities in the Writers in Residence™ curriculum were so in-depth. The first section was a research paper, and it included lessons on how to do internet research, how to find credible sources, how to cite those sources, how to format a research paper, and more. 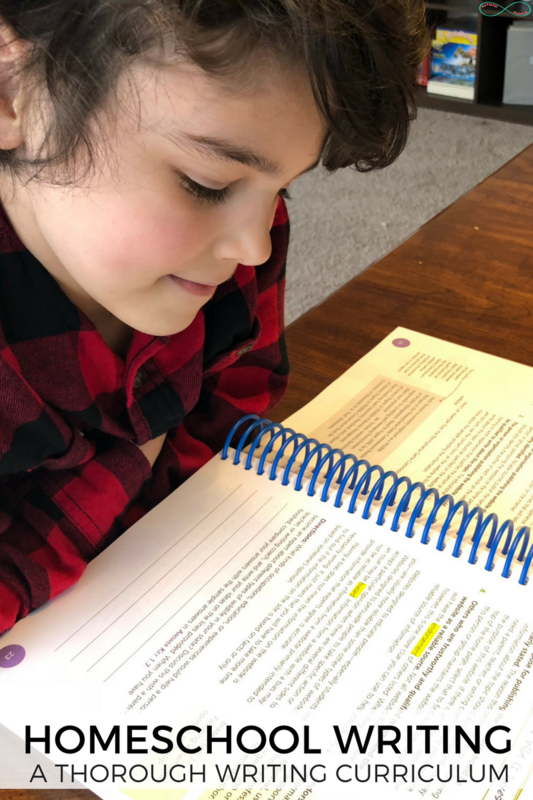 The lesson broke down each element to the writing process into manageable chunks, and it was awesome to see my son get a better understanding of the entire process through the writing projects. 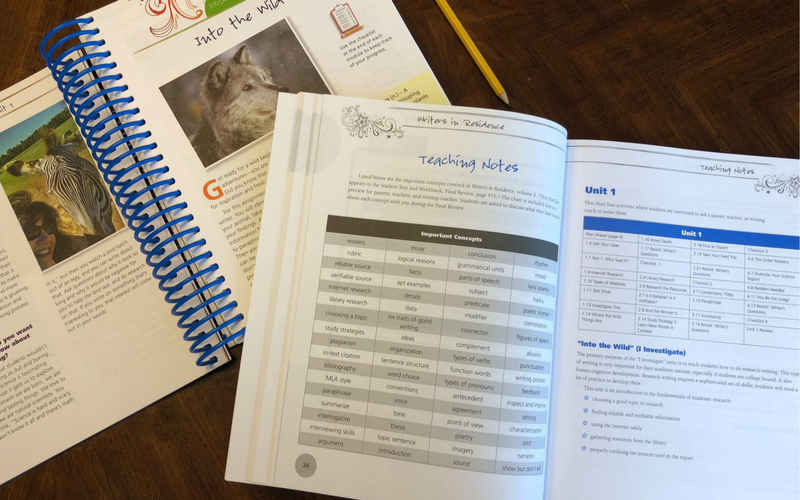 The workbook for kids is filled with bright colors that make it engaging for kids, but not so much that it’s distracting. 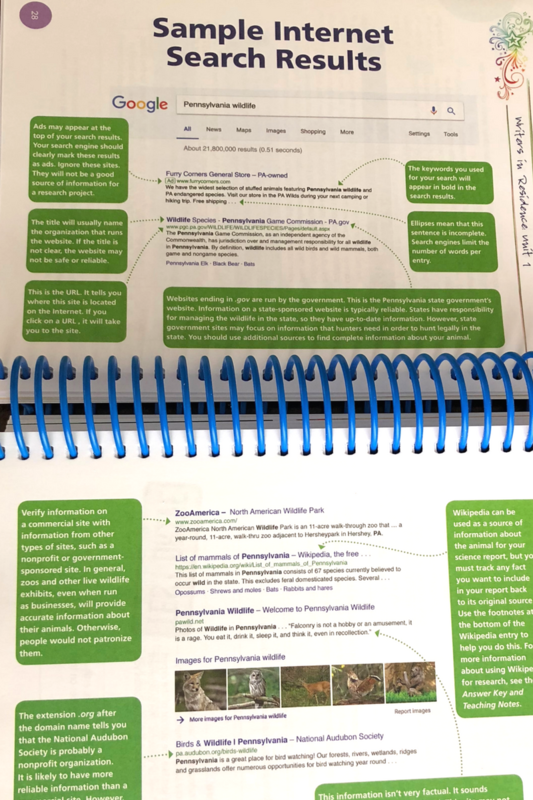 There are questions and a space for notes right in the book to help kids pay attention and stay engaged through the entire project. I also loved that there were plenty of real-world examples so that kids can see the writing process in action. It’s one thing to explain how a report should be formatted, but Writers in Residence™ gives a full report as an example, pointing out all of the important formattings that are included. My son also appreciated that the writing projects were relevant and interesting. So often we ask kids to write about things that they don’t have any interest in, and we wonder why they dread picking up their pencil. 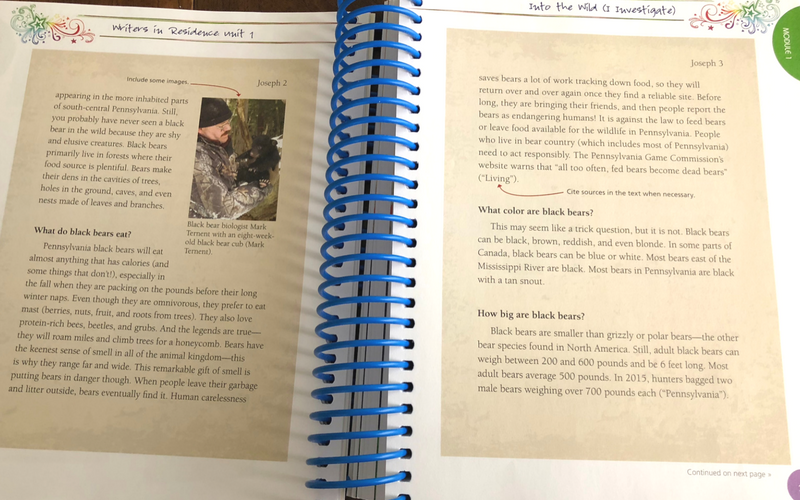 The research project Mr. C worked on was finding an animal native to our area, and since we just moved he loved learning more about our new area through the report. Okay, now for the best part… Writers in Residence™ is so easy for busy homeschooling moms. And when there is prep needed, there is plenty of warning. For example, there’s a field trip activity during the first project, and they mention it very early on so that you can prepare the field trip in advance. Writers in Residence™ also includes an easy to use answer key. 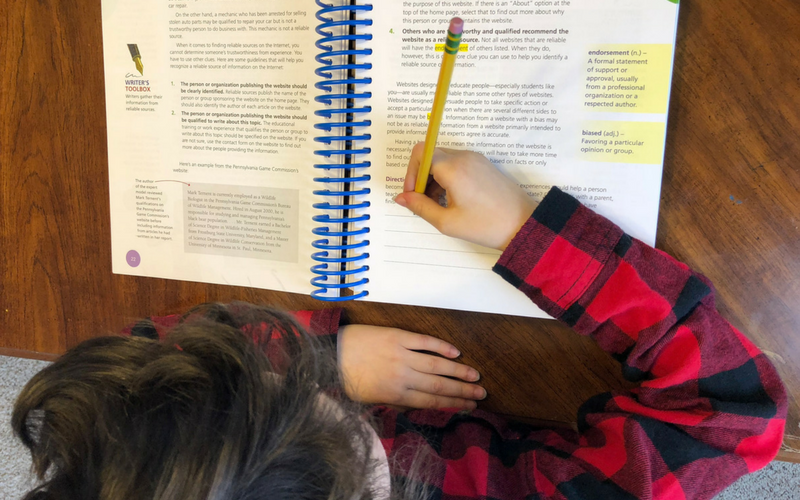 You don’t have to guess whether your child’s writing is up to grade level, because the answer key spells it out for you. 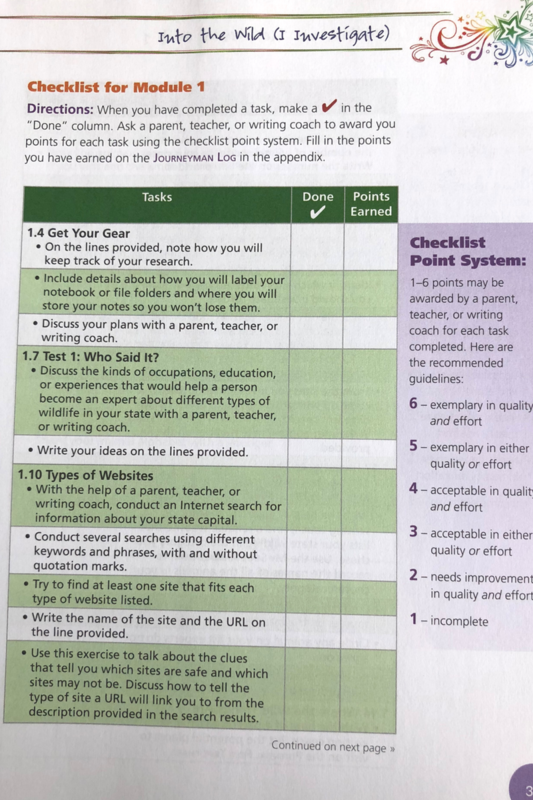 Each lesson also includes a handy checklist, so your kids know what is expected of them. 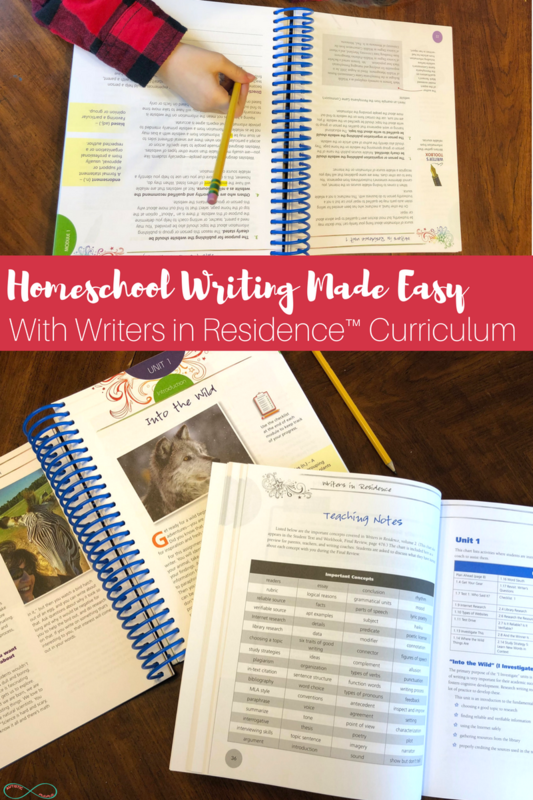 You can download an FAQ and a large sample of the homeschool writing curriculum here. You can order Writers in Residence™ Vol. 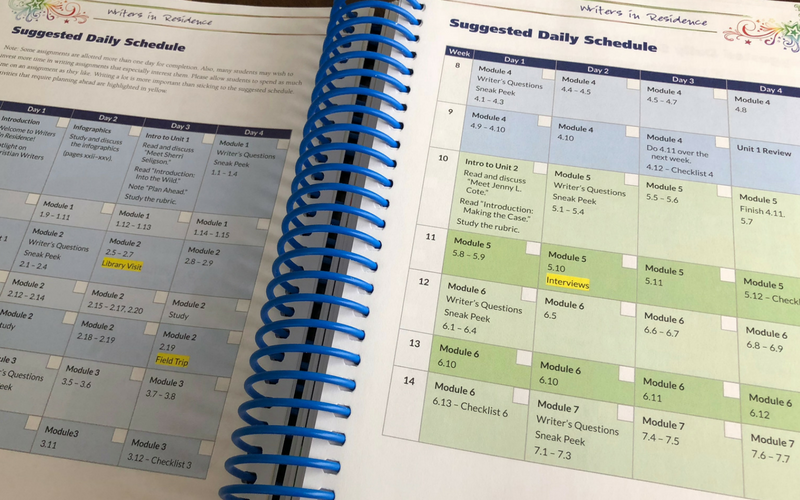 2 All -In-One Student Text and Workbook and Answer Key here. 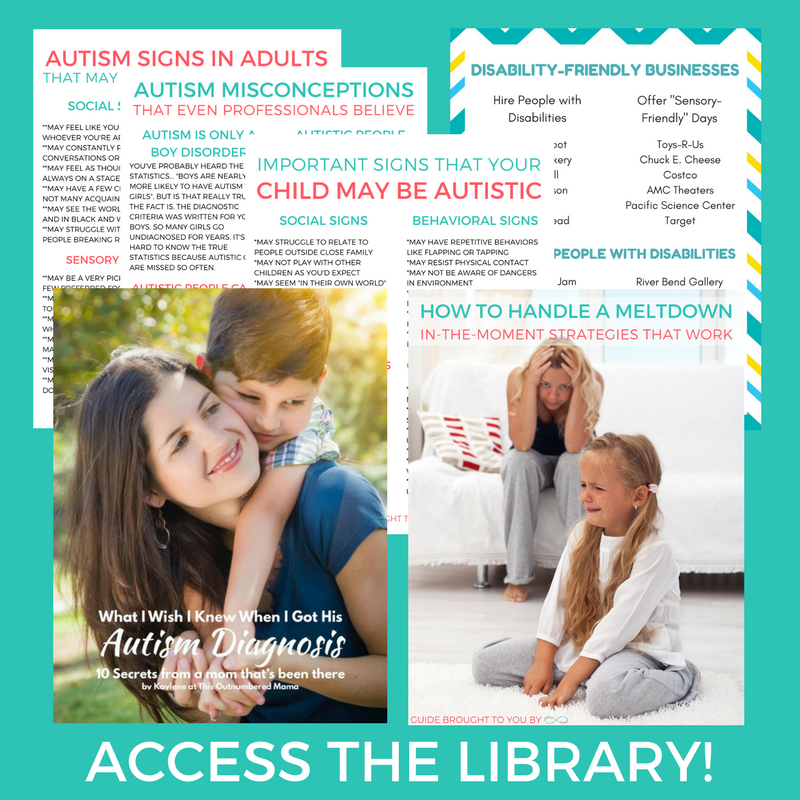 You can also get this free activity ebook here.